As we do each month we bring you the latest set Miles & More "Meilenschnaeppchen" discounted mileage awards! This month we see the return of the business class options in addition to some economy class deals! 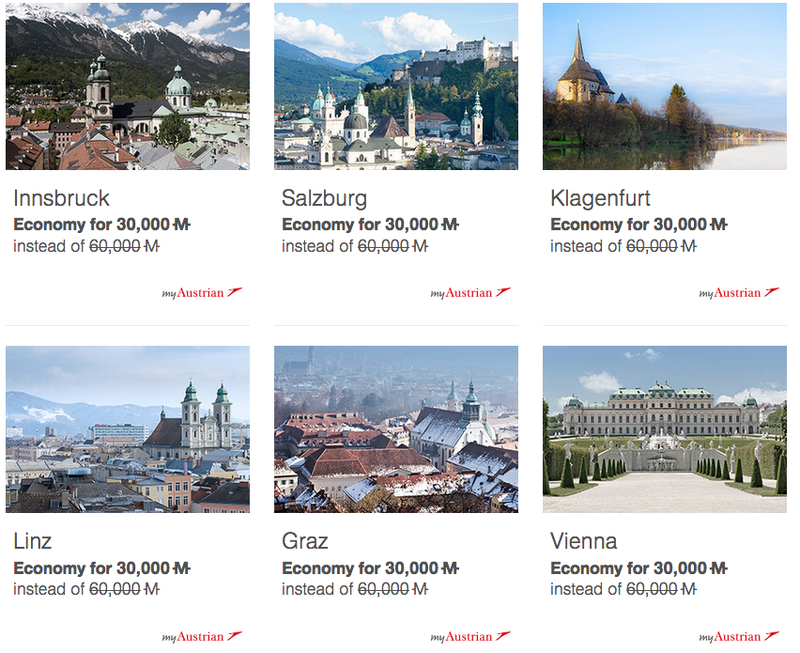 The offers are for Austrian Airlines' Economy Class out of Toronto or Lufthansa's Business Class from Vancouver. These are good for travel on Austrian until Jan 31 while Lufthansa is between Apr 1 and May 15 and must be booked by Jan 1. You can redeem Miles & More miles for round trip economy class tickets on Austrian from Toronto to Austria for only 30,000 miles. This is a 50% discount off the normal Economy Class award ticket price of 60,000 miles. 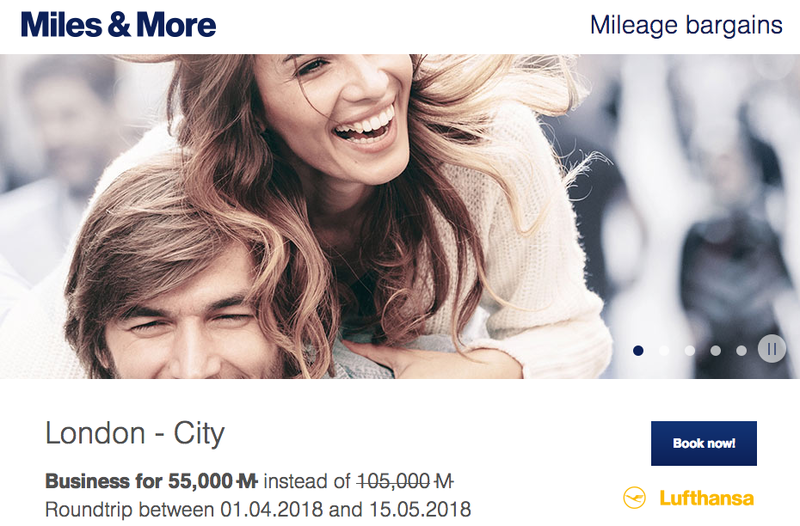 For business class between Vancouver and Europe, the discount is a bit below 50% as you need to redeem 55,000 miles for round trip flights that normally cost 105,000 miles. As we mention every time they have the 50% off economy offer is that you could in theory get close to amount required to redeem for the tickets with grabbing a single credit card that has a $120 annual fee! How so? As we usually mention in this post you can boost your Miles & More account with the Starwood Preferred Guest Credit Card from American Express. Currently the card comes with a 20,000 Starpoints sign up bonus and when you convert those 20,000 Starpoints to Miles & More SPG will award you an additional 5,000 miles. Which gives you 25,000 miles. Of course if you spend $5,000 on the card that will boost you to the 30,000 miles required. That's enough miles to redeem for one of the economy class tickets in this offer. Of course timing of getting the card now, spending and getting the points will likely not happen for this month but the 50% off economy class tickets at 30,000 miles is offered frequently throughout the year so you can grab the card now and use the points for the next time the offer comes up. Need to grab two tickets? You could choose to get one SPG card for yourself and you for your partner or spouse. If that's not your situation and want two tickets for yourself you could also grab The Starwood Preferred Guest Business Credit Card from American Express as it also has 20,000 point sign up bonus and then you would ultimately be able to have 50,000 Miles & More miles not including spending.